Though Rockstar continues to iron out the kinks with GTA Online by sending out fixes and giving players access to the Stimulus Package, the developers are still keen on releasing actual content updates to the game. For the next title update releasing next week, the 1.06 patch, Rockstar plans on giving players a lot more than just fixes to existing glitches and quirks with the game. Dress light, GTA Online vets -- we're going to the beach. 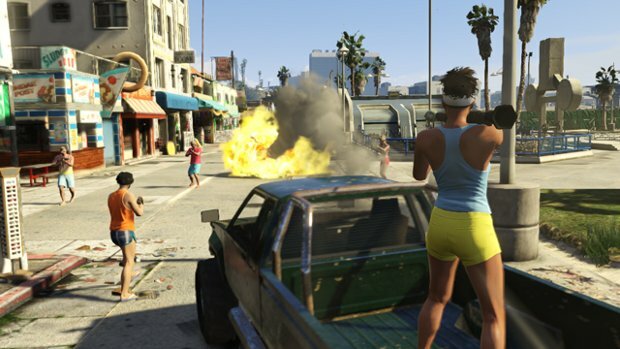 In the Beach Bum content pack, players will find new jobs, weapons, and vehicles as they pit their characters in a variety of challenges around the sunny coasts of Los Santos. Many of the challenges include new maps for team deathmatch, races, parachuting, and survival. In addition to this, the update also comes with new clothing and character customization options to match up with the beach-themed jobs. It's good to see some new content coming to GTA Online. I know a lot of people who have exhausted much of what the base game had to offer, and while this isn't a mega content pack, it will certainly go a long way to get players excited about playing again.